The Highest Standards Deliver The Best Results. 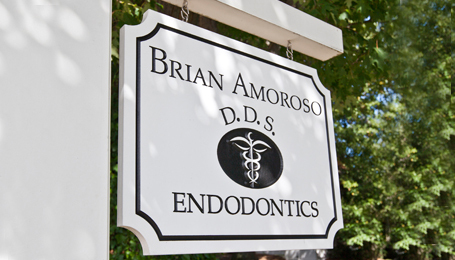 As a member of the American Association of Endodontists, Dr. Amoroso looks forward to serving you. Comfort in numbers. Root canals, it’s what we do, it’s all we do, day in and day out; everyday. We deliver your care with respect, skill and compassion, in a state of the art setting. Dr. Amoroso has over twenty years experience in providing treatment. Our location is easily accessible and parking is convenient. We’re your neighbor! Practicing in a comfortable home office literally puts us living and working alongside you. Wednesday, Friday: 8:30 AM to 2PM. Early morning appointments available upon request.